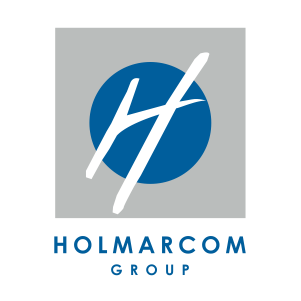 Building on the potential of the Moroccan soil, Holmarcom marks its presence in the fast growing segments of the industry. The Group holds leading industrial companies in the water, tea, snacking and ingredients market for the food industry and has strong brands. Leader of flat and sparkling mineral water sector in Morocco, the company produces and distributes the iconic brands Sidi Ali and Oulmès as well as the table water Bahia and the natural mineral water Aïn Atlas. Following its alliance with Japan’s SBF, les Eaux Minérales d’Oulmès launched the production and distribution in Morocco of the SBF beverage portfolio, including Orangina. Through a sustained investment policy, the company continues to retain consumers for generations with its quality and innovation commitments. As a Holmarcom Group subsidiary since its privatization in 2006, SOMATHES is also at the heart of the Moroccan culture through its historic tea brands, Souiri, Caravane, Menara, etc. Despite the constraints of a liberalized sector, the company maintained its reference position by strengthening its brands and adopting a commitment to quality. Drawing on an active policy of diversification, it now distributes besides tea, a range of biscuits, chocolate and confectionery of brands likes Tiffany, Finetti & Eti, London Dairy ice cream, Dénia snacking products, etc. Sharing their industrial and commercial synergies, the 5 companies of Dénia Holding Group produce a wide range of snacking products (chips and dried fruit) and ingredients for the food industry (dried fruits and vegetables, spices and herbs) distributed in bulk or packaged under the brand Dénia, both on the local and international markets. Based in Cotonou and controlled by les Eaux Minérales d’Oulmès, EAU TECHNOLOGIE ENVIRONNEMENT is a major player in the market of natural mineral water in Benin. Its Fifa Ste Luce’s brand, produced in different formats, is also exported to the neighboring countries. Specializing in the industrial processing of citrus fruits, Juice & Nectar Partner produces juice concentrate, organic and conventional citrus juice and cold pressed citrus oils, for the local and international market industries. With a vast olive grove in the Oriental region, the company produces a range of extra virgin olive oils whose unique character comes from its subtle blend of Oriental and Mediterranean roots. 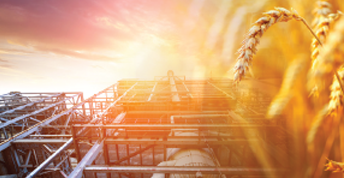 Thanks to its modern, integrated crushing unit that meets international technological standards, the Group contributes to the modernization of the Moroccan olive sector.